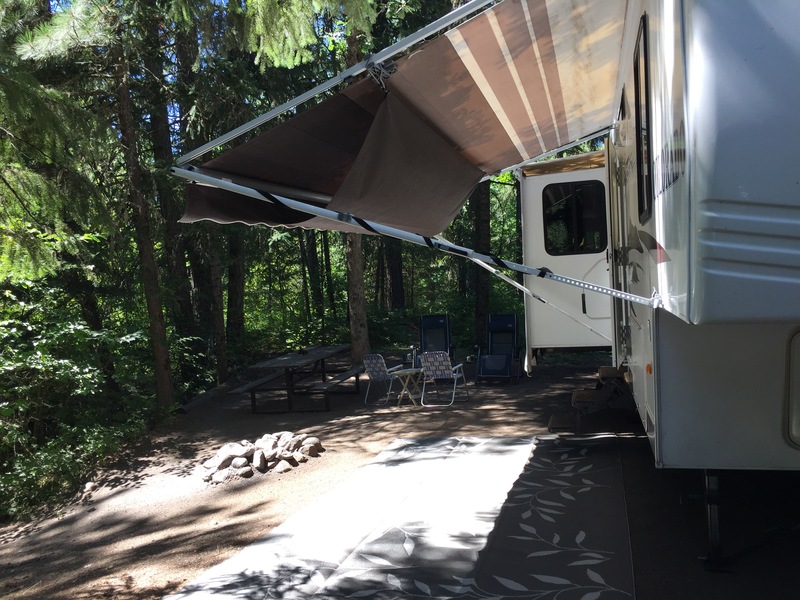 The biggest surprise to us about fulltime RVing has to be the social aspect of it. When we prepared to hit the road, we thought we might feel distanced from friends and family. 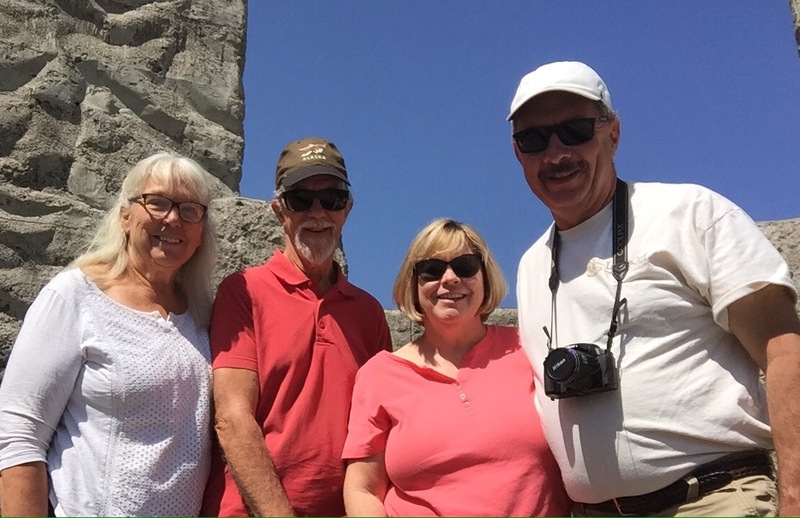 Social media, this blog, work camping positions, and being members of the RV-Dreams family have helped alleviate that concern and have greatly expanded our circle of friends. And while the places we visit are the focus of our journey, it’s the people we meet in each locale that end up standing out in our minds! 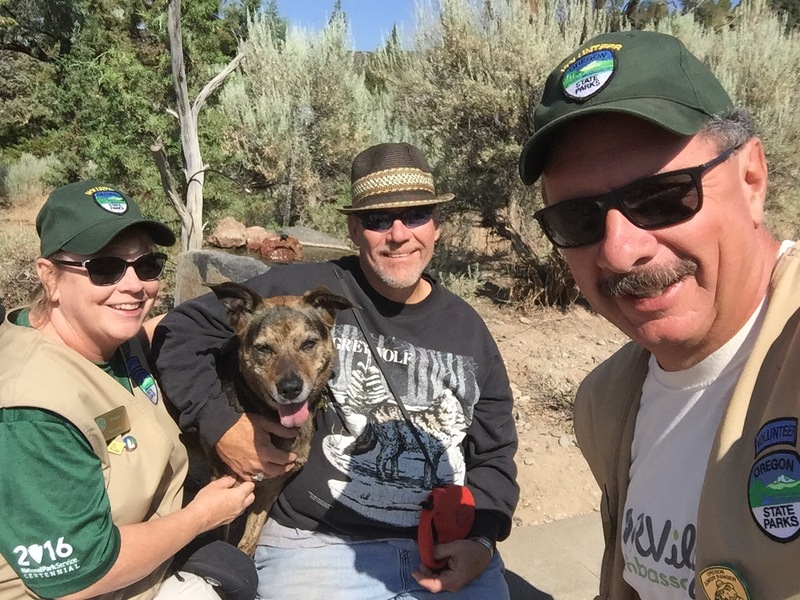 On July 15, our RV-Dreaming buddy and fellow lighthouse host Rick and his dog Maxine came to visit us at Prineville Reservoir. He will be beginning his journey east soon and wanted to see us again before he left Oregon. Since we were working, we brought him along to the programs we were helping out with. It was great to spend more time with these two! Maxine felt totally at ease here. She looked right at home perched outside Mariah’s office. 🙂 It was sad to see them go Sunday morning, but we will definitely see them again down the road! On Monday morning, we took the rig north to Parkdale to see our friends Bob and Kat. You may recall that we met at the Fall 2014 RV-Dreams rally, and we met up again in San Antonio and in Lake Leelanau. They are working at Toll Bridge County Park as hosts. They suggested this beautiful site, just feet off the east fork of the Hood River. 😊 They made us a yummy dinner, which was appreciated after a day on the road! On Tuesday, we took a tour of the Columbia River from the Bridge of the Gods up to Maryhill and back. Our first stop was Stonehenge, a World War I memorial put in place by Samuel Hill. 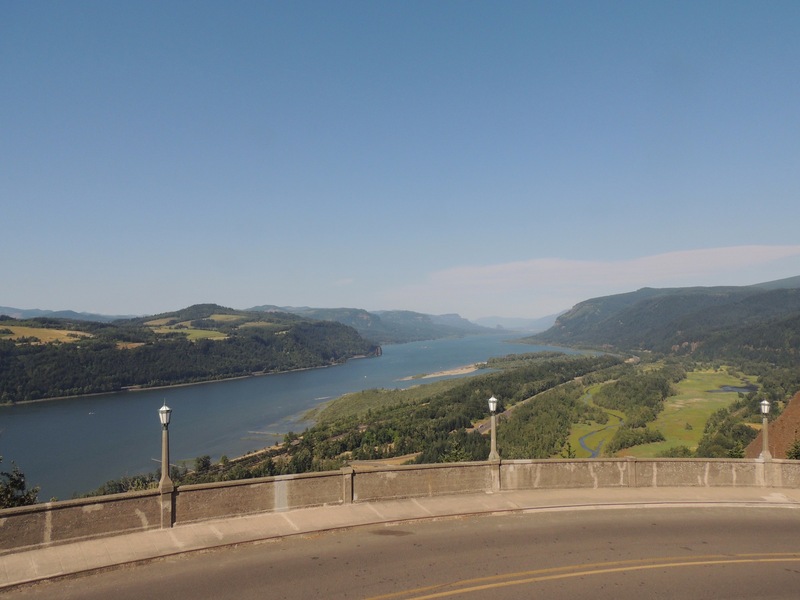 He was the person responsible for the beautiful Columbia River Scenic Highway on the Oregon side of the waterway. He first tried to get the State of Washington to build it and when they refused, he approached Oregon with the idea. Thankfully, they approved construction. From there, we visited Hill’s Maryhill estate. This grand structure was built using forms and poured concrete, employing the same methods that would be used in building a highway overpass. It now houses an art gallery. The museum houses more than 80 works by Auguste Rodin, including The Thinker. 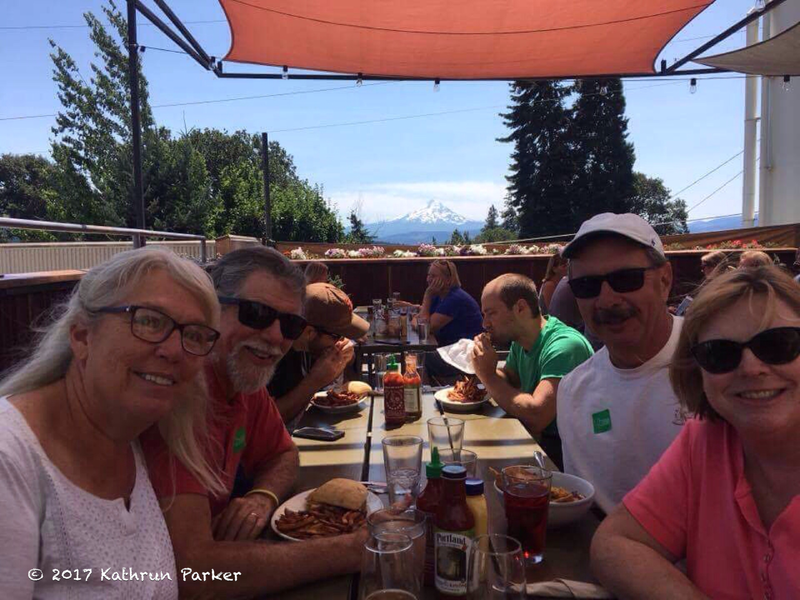 After that, we ate lunch at Everybody’s Brewing in White Salmon, Washington. An outstanding meal with a beautiful view of Mt. Hood in the background! 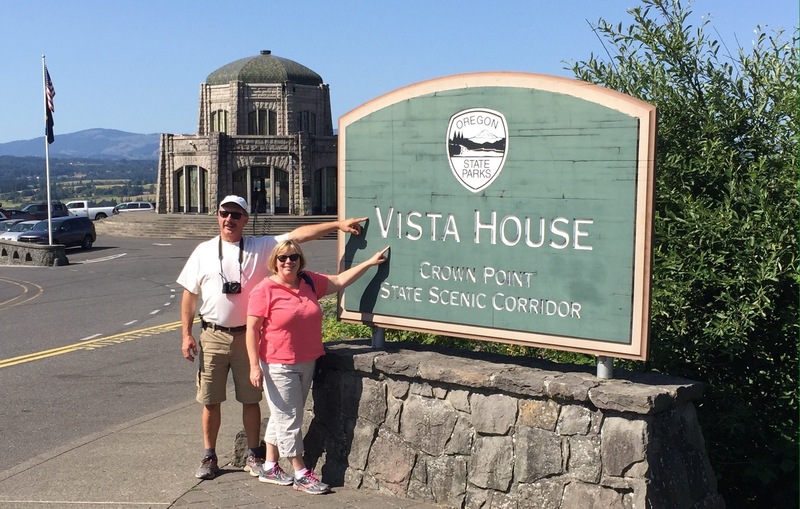 We then crossed back into Oregon and checked out Vista House. 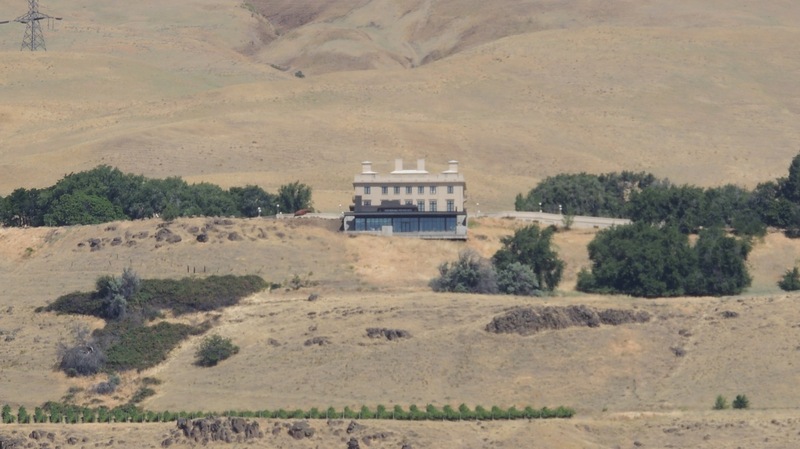 From its’ perch high on the cliff, the building offers a commanding view of the gorge! 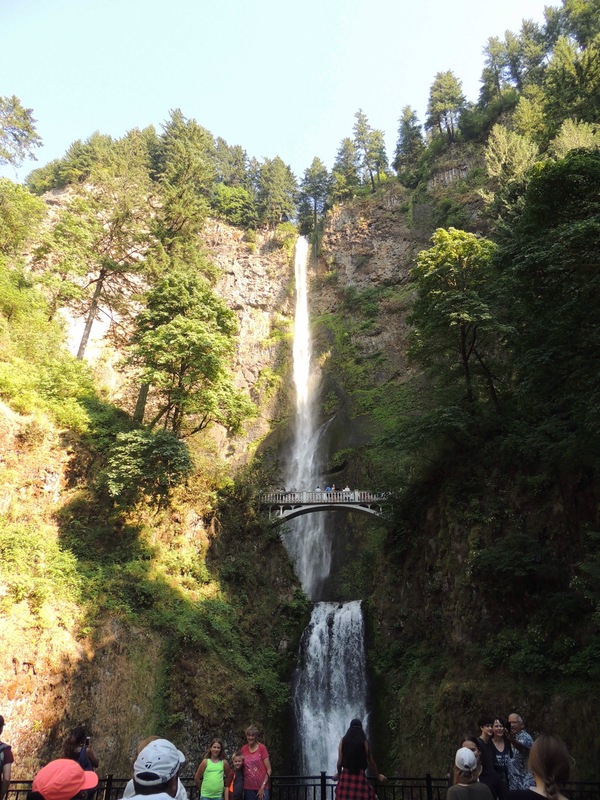 Our last stop was Multnomah Falls. We had seen this beautiful set of waterfalls back in 1996, and they were just as pretty as we remembered them. It was a great way to cap off a really fun day with friends! So whether it is family, old friends or new, this life on the road has been anything but solitary for us. August 11 will be three years since we moved into our RV fulltime, and what a wonderful time it has been. Here’s hoping we have many more roadiversaries and opportunities to spend time with others along the way! Our favorite ‘Friends’ sign and many more items available by clicking HERE on our exploRVistas Amazon link! Previous PostSmith Rock State Park﻿Next Post Are You ﻿Ready For the Eclipse? So funny, working on our blog and it has the same theme….surprised and blessed with all of our road friends!! Looks like you guys are really enjoying Oregon!! I agree. We haven’t felt lonely or isolated at all. There are people everywhere that are fun to talk to. 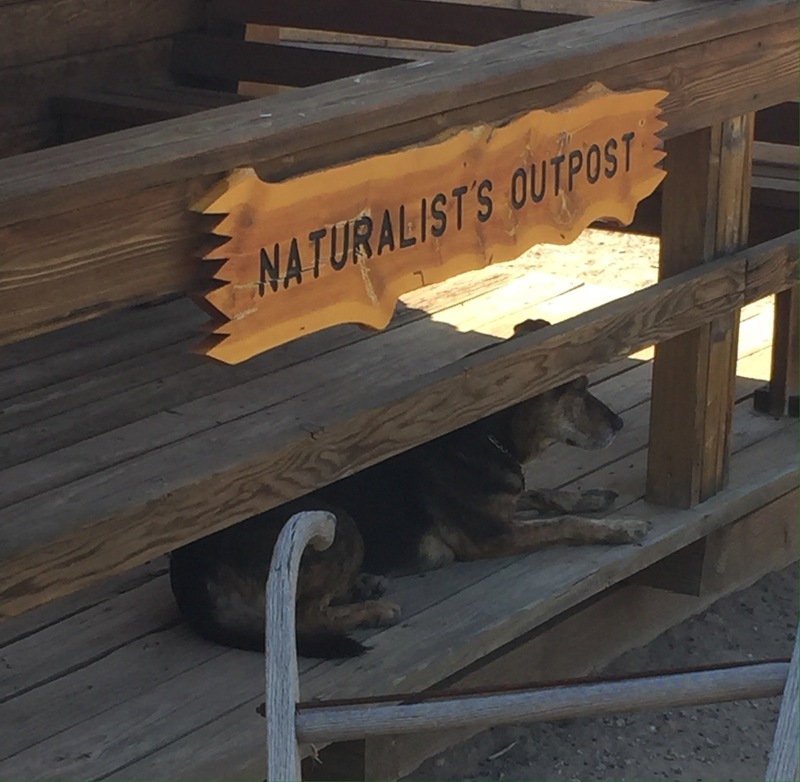 Some are camping neighbors but others we consider true friends. So incredibly grateful to have met you back at the 2014 RV Dreams rally. You have truly become some of our best friends. Can’t wait to discover where will meet again (besides next week at Prineville Reservoir)! Thanks for sharing the dream with us!! WordPress needs to install a Love button! Getting to spend time with you two is truly a joy. 😊 Looking forward to you two coming down here! That was fast, Rick! Glad you had a safe trip. See you down the road! We will be here through Labor Day, so if you are close, let’s make it a point to meet up, Pam! We head to Eugene Monday for a week, then Salem for a week, then, finally, Portland for a week and half. How far will we be from you? That’s right! You were just at the Newberry National Volcanic Monument!! We will be in Bend from August 27th until after Labor Day! What more can be said about the Gorge than it’s gorgeous. So much to see and do. Especially nice to share with friends. In the 30 years I’ve lived on the road I’ve never felt a lacking of friends. Now with social media I’ve met so many wonderful folks virtually and IRT. Hopefully our paths will cross in the future. We really look forward to that day…and hopefully you can swear us in as North Rim Junior Rangers, Gaelyn! Happy to be on the list of people you will be seeing soon ! Wow three years. Being a fairly new follower of yours, I can only imagine the sights you’ve seen. Seven-two days was our longest consecutive stretch living in our 5th. Thank you for reading, Kathy! Bill and I are so happy to be able to include you both as friends made on the road! We initially had the same concerns and have enjoyed watching the concerns about being without friends disappear! The feeling is totally mutual, Kelly! Looking forward to more great times with you guys! We feel the same way! We have a much larger social life on the road than we ever did in the S&B. It’s so fun to “find” each other in new locales as we all travel in different areas then come back together 🙂 Love your Vista sign. 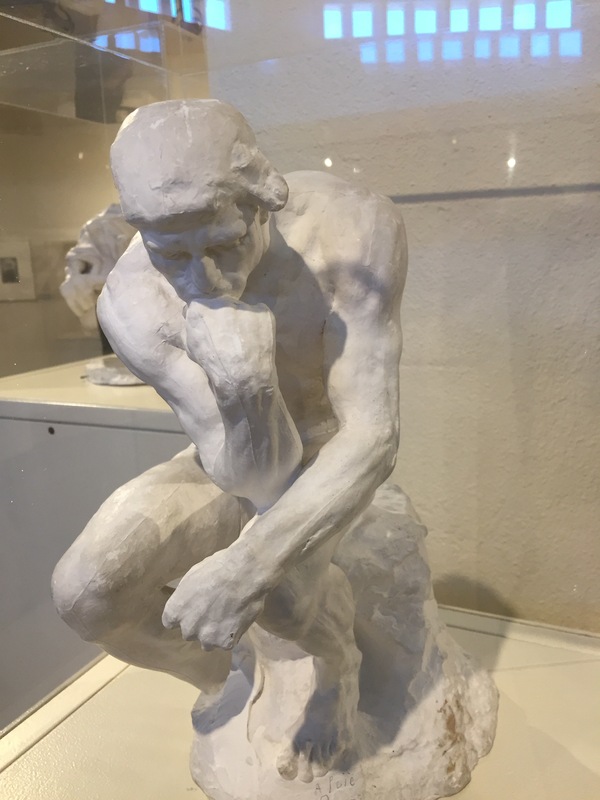 Can’t believe The Thinker is in a little museum in the middle of Oregon – how cool to see it. Hoping we can “meet in the middle” somewhere when we’re in Albany. I guess Rodin did several copies of The Thinker, and this is one of them. It reminds me of the Dobie Gillis TV series from long ago…remember that? Let’s PM about a get together! Maybe Bend with J&P?